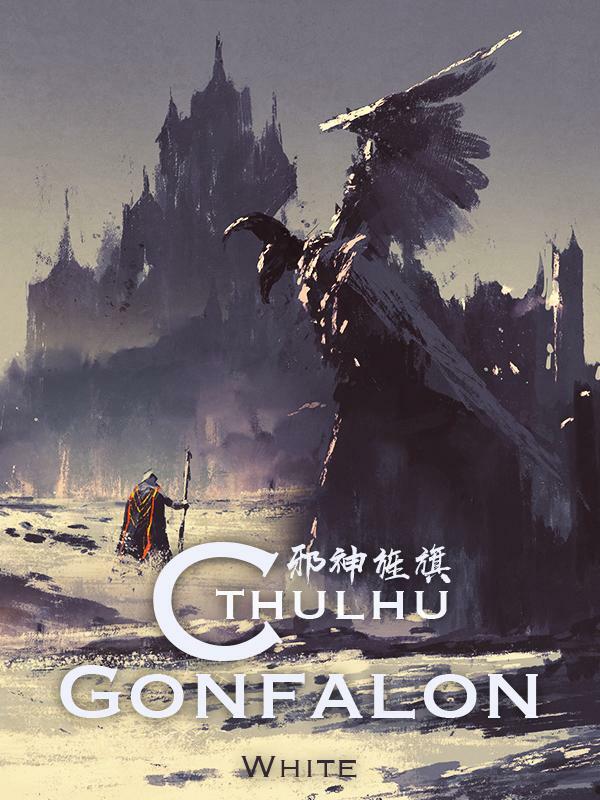 Cthulhu Gonfalon is a story about a man who woke up in another world. After a drink over his loss in a game, Sui Xiong ended up in the middle of the sea. Surprisingly, he now found out he no longer existed in a human shape but in a spirit state without any flesh. In order to survive and find a way to return to Earth, he then searched for a body to accommodate his spirit. After several confrontations with some creatures under the sea, he decided to settle for a jellyfish flesh. This Jellyfish was extraordinarily huge. With its tentacles, it caught others’ spirits to nurture its own power. In this world, Sui Xiong wasn’t only matchlessly powerful but he also had an ability to cast magic. With this gifted ability and combined with his knowledge from the civilized world on Earth, he could help a deceased person resurrect, change a person’s look, and do tons of other crazy things that he didn’t know. Little explanation about Cthulhu: Cthulhu has been described in appearance as resembling an octopus, a dragon and a human caricature, hundreds of meters tall, with webbed human-looking arms and legs and a pair of rudimentary wings on its back. Cthulhu’s head is depicted as similar to the entirety of a gigantic octopus, with an unknown number of tentacles surrounding its supposed mouth. I am personally a fan of lovecraft works and the phantasmal images of the dark world he molds, so I seriously question the legitimacy of Validtility review and his "love" of lovecraft. From what I read in the translated chapters and some of the raws I have say this novel isn't good, not terrible, just not good. The only thing it takes from Cthulhu is creature basic shape and name, has nothing to do with any kind of abyssal themes that come with a lovecraft creature, it's almost insulting. The novel... more>> that comes to mind when reading this is "Crimson Dragon" another novel listed on novelupdates, it's not good either, really comes down to a dude who basically becomes Deathwing from WOW and does a bunch of the generic chinese MC stuff, the same is with this novel. Chinese guy becomes a already known monster and carries on in almost the same fashion as "Crimson Dragon". If your reading this just forget the cthulhu thing and expect no relation to lovecraft and the story would be at most a 2.5/5, that's a.5 increase. Honestly I think I would have loved this story if it wasn't written as a chinese novel, if it was written in the same fashion as goblin slayer with the MC embracing his new form and would go on to bring madness and horrors to denizens of his new world and converting them, this novel would be awesome. Sadly it is a chinese novel and the derivative story writing and creation only ruins the interesting premise of becoming Cthulhu. No idea why the translator decided to translate the title like this. The story and the original title has nothing to do with Cthulhu or Lovecraft mytho. The MC doesn't share any similarity to Cthulhu at all, in either appearance or actions: he is a green jellyfish for god's sake. The title 邪神旌旗 is more accurately translated to "Wicked God Gonfalon". 邪神 Is tricky to translate to reflect the meaning, the second character 神 means god/deity, the first character 邪 can mean evil, but can also denote something that's not... more>> following the (social) norm which seems more like what the author intended (not quite sure how to translate that to English in a non-clunky way, but I have seen people translated 邪仙 to "Wicked Immortal" so I do that same for 邪神). 旌旗 Gonfalon is sort of like banner/flag, so one way to understand the title is "Wicked God waving a banner (to serve as an inspiration for others) ", at least that's how I interpret it. Onto the story itself, well, while this isn't the best novel from the author, it's better than the majority of the Chinese WN here IMO. The technical aspects of writing are great*: good flow, no plot holes, show don't tell. It has consistent world building and lots of character development, not just for the main characters but also for the side characters (which there are a lot). Overall, it's a fun read, always put a smile on my face and gives a relaxing feel. Sort of like how "Release that Witch" makes me feel. Another thing that distinguishes this story is that the MC (and a lot of the characters) is a genuine good person. I would gladly be friend with someone like the MC, while I would not want to be associated with a lot of the MC's from other WN's. There is no protagonist-centerd morality bullsh*t. There is actually a meme among Chinese readers that this author is filled with "positive energy", such that all of his MC's are exemplary good samaritan, in stark contrast to MC's of other WN's. A warning though, if you don't like a story that spent a significant portion (at least 20%) on characters other than the MC, then this story is probably not for you. Ughhh... how to put this nicely? Why couldn't he eat the whale? he is a spirit, so even if bigger animals can sense him they can't hurt him. he also doesn't need oxygen, so what is the worst being swallowed alive do to him? also if he's that close to the whale (inside it), cant he easily just eat its soul? Also with the little fishes, he says "as I only have two hands I can only eat two at a time", this is bull sh*t because he is now a jelly fish, and he can't leave this body. so what hands is he talking about? Honestly, I expected something else. It was ok at first, in the ocean and all. But then almost immediately the MC left his territory and advantage, the ocean. He wanted to become a land jellyfish wtf. What we get is a giant flying jellyfish who immediately became OP, becoming a jellyfish god that fights other gods and factions, like the usual chinese novel. A good kind god, not some evil monster god. Also, the title is misleading clickbait. The MC's name that he chose himself is Oscar. Fcking Oscar the jellyfish god. Excellent light novel similar to Tensei sh*tara slime datta ken but without the MC being slightly pig headed. Also simple summary MC dies becomes a spirt takes over jelly fish becomes similar to a slime with tentacles and eats weirdly. Ps ignore all but the first 3 sentances for a better summary than mine things below spoil the summary. Done. This novel is great, a little simliar to tensei sh*tara slime datta ken. It's about someone who got reincarnated as some kind of spirit who gets stronger by devouring the spirit of other living brings. He learns from others that he is a god and he is on a journey to build himself a nation of believers by looking for people who could join his nation to be the foundation of it. He is not like your typical Chinese character who likes killing for no reason. This novel has a lot of potential... more>> too bad the translator didn't have time in her busy schedule in life. Also most readers didn't want to give her chance so they post some very harsh comments, so to her it wasn't worth it. There should be 3, 5 stars not four, but it goes more up than down, so I'll leave it this way. What is the story? It's a path of a jellyfish who was reincarnated from our world. And then it suddenly became OP in the world where magic and gods are commonplace. Something like Death March, but without a harem. At least at the moment I'm writing (94th chapter). It is said that the gods can't really go to the mortal realm (true gods at least) and it's really hard for them to keep avatars in there so chances of meeting one are minuscule. And no god is stupid enough to keep the avatar out in the world just because. And yet Oscar in one of the first chapters meets Savage God who is the main (true) deity of one system... weird. Next one - Oscar is called by many gods and other creatures as a young God. But in one of the chapters he raves about being just a spirit from earth... which means he doesn't have the powers? Or did the translator/author meant that he 'feels like' nothing changed and people demand from him that he acts like a god? Of these kinds of inconsistencies don't matter then it's all good. This is truly an amazing story, worthy to read. I don't really care about these low ratings faggots as they don't totally understand the story itself and at the same time based on its title they expected it is filled with horrors, gore, blood and darkness but in fact in this novel is the opposite. Everything is opposite from not Octopus like but a Jellyfish, his place is not unto the sea but in the land and air and his nature is not total evil like the name suggest from Lovecraft but a virtuous-justice-friendly being with extreme protection to his believers. A God existence not sure about that of himself that unlike the other gods in the world he's transported who are basically fatten themselves (not literally) from their believers religious power he is much more a hardworking god that based of bringing justice and solidifying righteous upon the evil that contaminated the world. At first in the chapters he's mind was collective, patient and strategic but soon shifted upon becoming a God. I don't know why the author did that as he's action change into more reckless, shounen type character but still incredible. He as a Jellyfish God is talkative with so much proficient knowledge of Earth's history, tales, myths and legends that exalted to the people to his side whether its an opponent or friendly. Noting with philosophical words and also internet based off knowledge. A very powerful newbie ancient natural god who willing to not back down a fight against other Gods including Legendary Beast of Giant Dragons that is also equal power to Gods. If anyone want to read this, read it as it really amazing. Don't listen to others low rated views. The translation need more work including the editing but still readable. This is where you find Cthulhu with a light side. I love none-human main-characters stories and I love HP lovecraft and I love chinese novels. This is like a lovebaby of the things I love, so my grading is probably very biased. Translation: 4-ish stars. Very rarely do you have to sit and think about how some words are missplaced or a tiny word not translated right might make you miss some context. Just giving the scentence another look will often just be enough. So, overall it's very readable. I've just finished c116. Truth be told the only reason I even started reading this is cause of the name. I don't usually read Chinese novels, (mostly because I can't keep up with the names) but this one (aside from it's terrible translating & nonexistent grammar) was actually pretty good. I loved the whole idea of the story and the cliche (but interesting) developments. The story seemed to lag a bit during the first few chapters but then picked up the pace (straight to fifth gear). It seemed as... more>> if the writer forgot to write many of the explanations and there were a lot of references that didn't quite make it through the translation (maybe it's clear to the native speaker). But just when I thought I was starting to understand the story, the writer seems to make developments and explanations that contradict the previous chapters. A lot of the things I thought were important ended up getting ignored completely after a few mentions. This is a very interesting and new concept that I have never read before. It's about a person going to another world and taking over a jellyfish's body and evolves it into a god over long periods of time. Now the MC "aka" God has to learn to be and act like an ACTUAL God. He has to face other gods in the planet and learn to start a new religion and get more followers while traveling the world.